The music on this page was written and sequenced by Larry Holden. It has never been copyrighted and never will be. It is used with his permission. Here we are in Montana's largest city. It was originally settled as a trading post and stage station called Coulson. 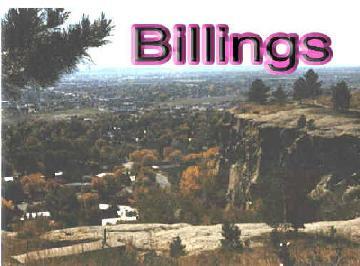 Billings is actually a child of the Northern Pacific Railroad which brought settlement to the area in 1882. It was renamed for Frederick Billings, a former president of the Northern Pacific Railroad. 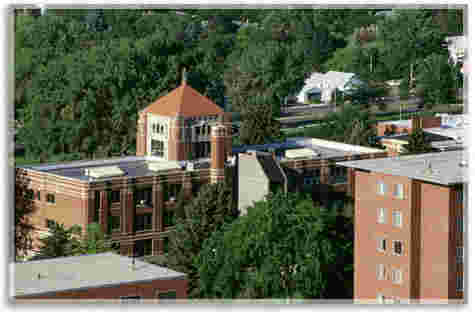 ROCKY MOUNTAIN COLLEGE, established in 1878. Let's drive by and take a look at a couple of the buildings on campus. 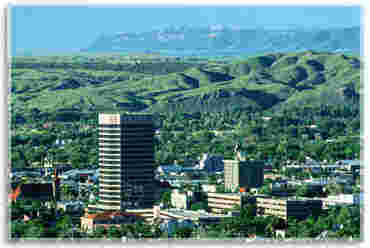 There's so much to see in the Billings area, we'd better get a move on before we lose daylight. This is Billings' turn-of-the-century railroad station. We are now driving by Moss Mansion. 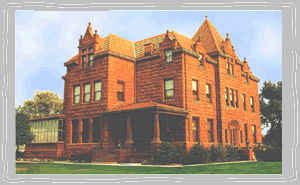 It was the home of prominent Billings citizen, Preston B. Moss, and has been elegantly restored. 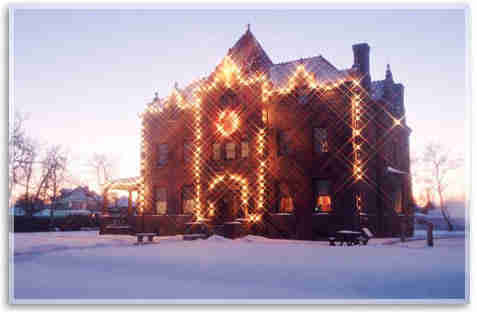 Here we have Moss Mansion all lit up for the holidays. 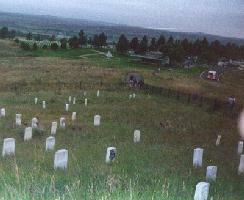 Here is one of the famous, or infamous, Boot Hill Cemeteries. Believe it or not, Billings is under that blanket of fog. 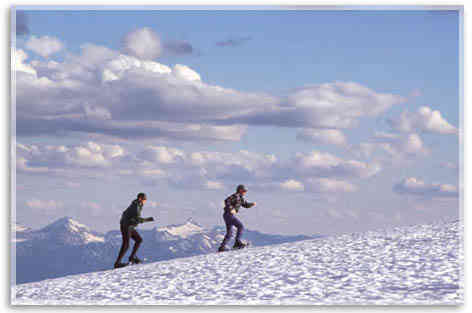 One of the popular winter sports is snowshoeing. Looks like it would take more energy than I have. 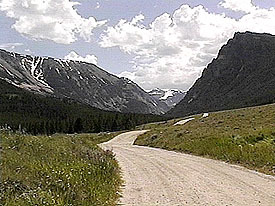 Less than an hour's drive from downtown Billings are the stark and, yet, beautiful Beartooth Mountains. 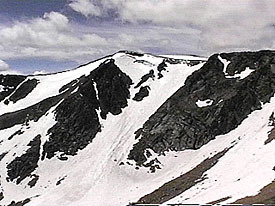 Skiing is very popular in this area during what can be harsh winters. 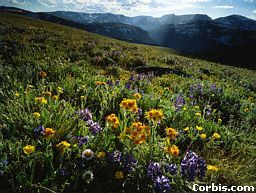 Ahhh, but come Spring, and the wildflowers paint the mountainside in an array of colors. The lands of Custer National Forest and National Grasslands lie within 20 counties in Montana, North Dakota and South Dakota. 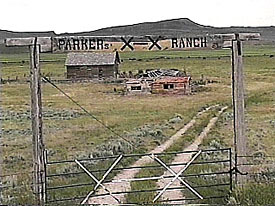 Above is an old, deserted ranch in the Park. The Park is scattered from the northeast corner of Yellowstone National Park to the southeast corner of North Dakota. 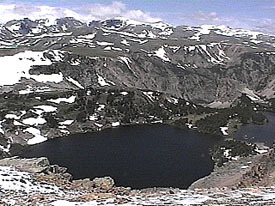 The Custer National Forest contains 2,452,360 acres. Elevations in the Park vary from 1000 feet in the Sheyenne National Grasslands (yep, that's how it's spelled) to 12,799 feet at Granite Peak. 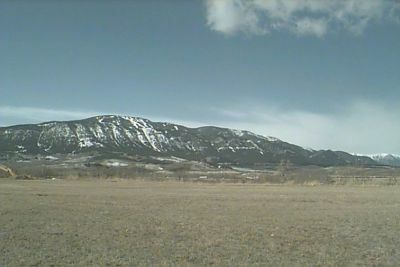 Let's head out toward Little Big Horn. The road looks clear ahead. Ooops! 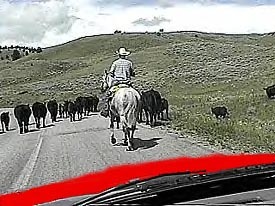 Typical Montana roadblock up ahead We'll just have to take our time through here. We're all familiar with the Battle of the Little Bighorn, but many of us may be more familiar with "Custer's Last Stand." On June 25-26, 1876, the battle between 273 members of the U.S. Army's 7th Cavalry, led by Lt. Col. George Armstrong Custer, foolishly attacked between 2,000 and 4,000 Lakota Sioux, Cheyenne and Arapaho Indians who were under the leadership of Sitting Bull and Crazy Horse. Gold had been found in the Indian territory and the white man decided it was time to move the Indians out. Custer ignored the warning from his scout and instead of a surprise attack, he led a full charge straight into the area. The Cavalry didn't stand a chance. 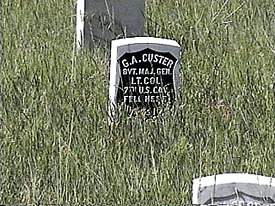 This marker was placed where Custer fell at the Battle of the Little Bighorn. 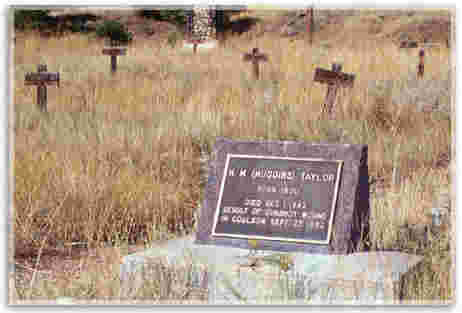 All members of the 7th Cavalry died those two days with the exception of Custer's half-Indian scout who had warned them. This is proving to be an exciting tour. Ready to see some more? Click on the license plate.